Joshua Brent is a UK based illustrator. With over three years experience in the design industry he has become an extremely versatile illustrator, working for a diverse mix of design studios and independent clients in advertising, marketing and education across the country. Past beneficiaries of his work include NHS Eastern Cheshire, BNP Paribas, BBC Bitesize and GMC Publications. 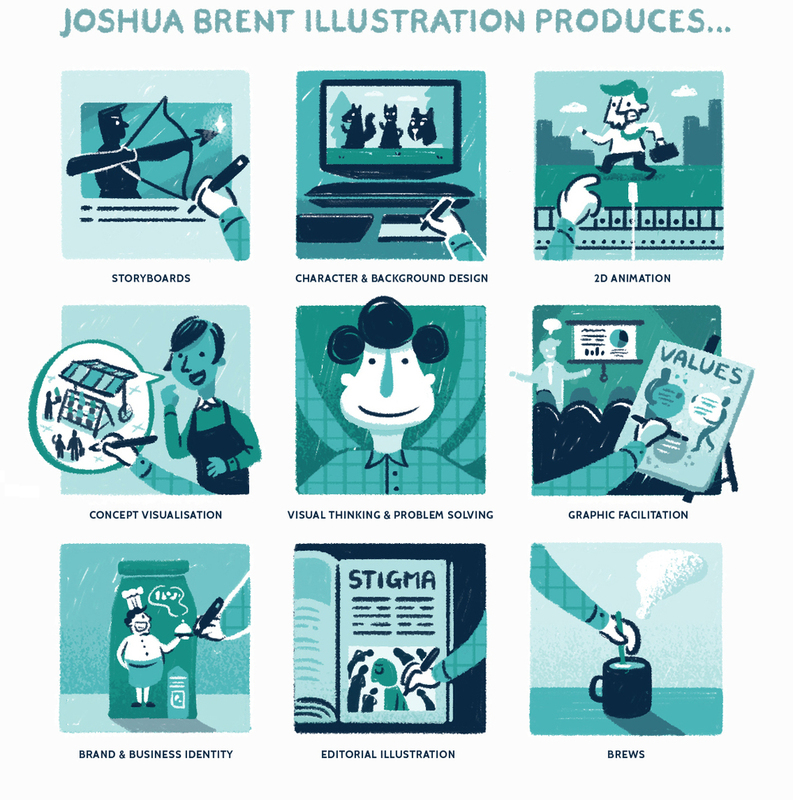 Joshua possesses extensive knowledge of techniques used in contemporary illustration, and as a result is valued for his ability to adapt to the appropriate market in order to suit the client’s needs. Where other illustrators hone in on a single way of doing things, Joshua takes pride in his range of skills and application of his talents.